Summer and hot weather begin slowly to say goodbye, linking back to work and schools. It is crucial at this point to take care of our skin post-summer, giving it the care it deserves, after months in the sun and high temperatures. 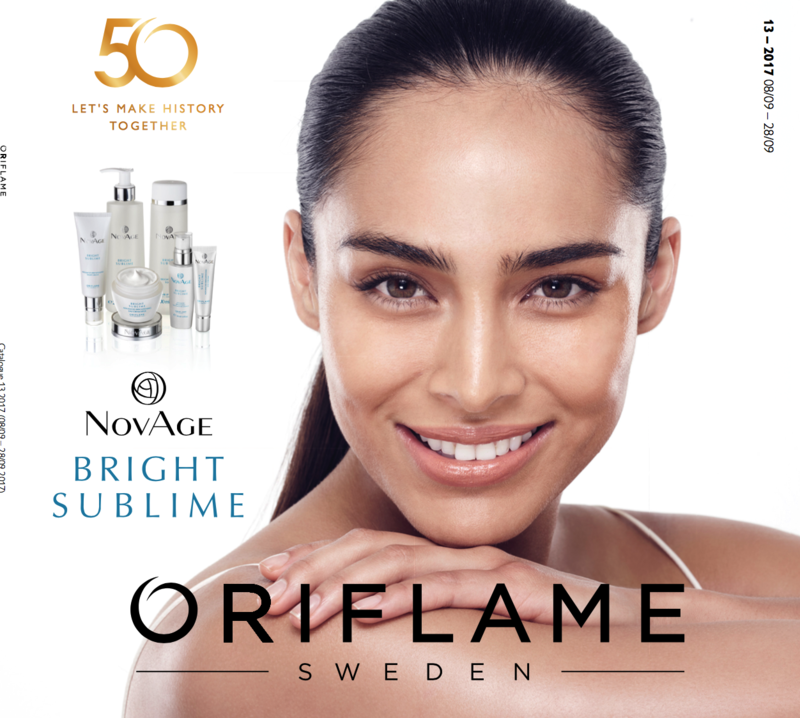 Thus, Oriflame reinforces the presence of the Bright Sublime NovAge line in the market, and is now also in the catalogue Oriflame ! This is a line that deserves all the attention, especially at this time of year. NovAge Bright Sublime our brand new, advanced-performing skin care range, clinically proven to diminish dark spots by up to 50% in just 12 weeks. As well as fading dark spots, NovAge Bright Sublime also brightens your complexion and diminishes fine lines and wrinkles to reveal – and maintain – a sublimely bright, smooth and even complexion! NovAge Bright Sublime is the result of over 6 years of research by Oriflame’s Skin Research Scientists, driven by the latest advances in dermatological science and featuring our patented Multi-Bright Technology and Gardenia Plant Stem Cell extract. The utlimate solution targeting the root cause of the problem, regulating the melanin distribution on your skin to reveal a brighter, more even complexion! Get to know the products and enjoy Your purchase with the NovAge Cosmetic Bag for only £4.95, when buying any Bright Sublime product. We remind you that for the best results, you should use the full set morning and evening – that’s all you need for radiant, uniform skin! For every £ 15 of purchases you make in this catalogue, you can purchase the Set Micro Scrub + NovAge Eye Make-Up Remover for only £14.95 or the SkinPro Cleaning Brush for only £ 19.95! All the essentials you need to complete your Daily Face Care Routine and achieve a perfectly clean and responsive skin to the technologies and assets of the remaining products. We present in this catalog the new men’s fragrance Friends World, with an aromatic aroma, perfect for charismatic men and nature fans. Get the fragrance with an excellent £ 14.95 launch price! We have launched in the The ONE range a Quick Dry Top Coat , a transparent nail glow that dries quickly, to protect the manicure and not have to wait an eternity for the varnish to dry! Enjoy to acquire it for only £3.95! Still in The ONE, we launched the Colour Adapt Lip Balm , with a transparent formula but that in contact with your lips creates a unique shade of pink! Try it in this catalog for only € 6.95. In the care of the body, we launched in the new range Love Nature the line with Lavender, composed of Shower Gel, Body Lotion and Body Scrub. We also launch Shampoo with Wheat and Coconut Oil for Dry Hair and Exfoliating Shower Gel with Energizing Love Nature Jumbo 750 ml! Enjoy and buy more for less – in this catalog up to 50% off! On the back cover of this catalog, we propose Milk & Honey (Mask and Shampoo) nourishing hair care, perfect for dry hair, and the combing brush. All with 70% discount!